3. 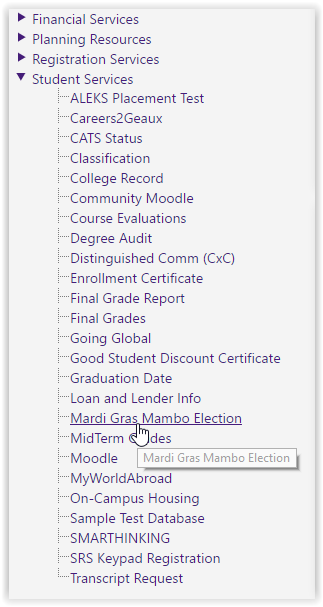 After clicking on Mardi Gras Mambo Election, a new window will open in your browser. If the survey is active it will take you to the appropriate page, it will display a message.